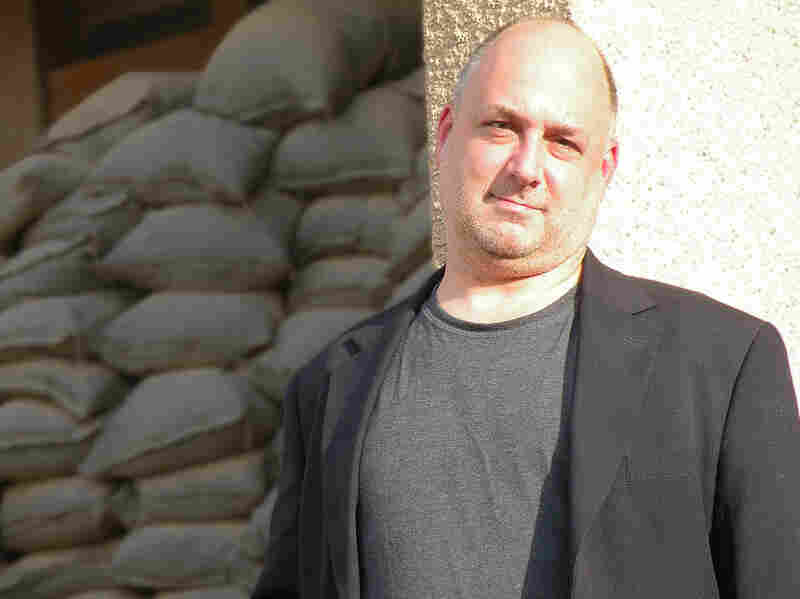 The Greedy Battle For Iraq's 'Hearts And Minds' In 2009, Peter Van Buren joined a team working to rebuild Iraq's infrastructure and economy. For the next year, he encountered comically misguided projects, greedy contractors and oblivious bureaucrats. In his new book, We Meant Well, he recounts the ground-level waste and corruption he saw. A man stands in a sewage-filled street in Fallujah in 2010. The Fallujah wastewater treatment system was left unfinished more than four years past the initial deadline. The sewage facility is among hundreds of projects funded by U.S. taxpayers that remain abandoned or incomplete, wasting more than $5 billion, according to auditors. For years, federal auditors have reported that millions of American dollars have been wasted or are unaccounted for in the effort to rebuild and stabilize Iraq. 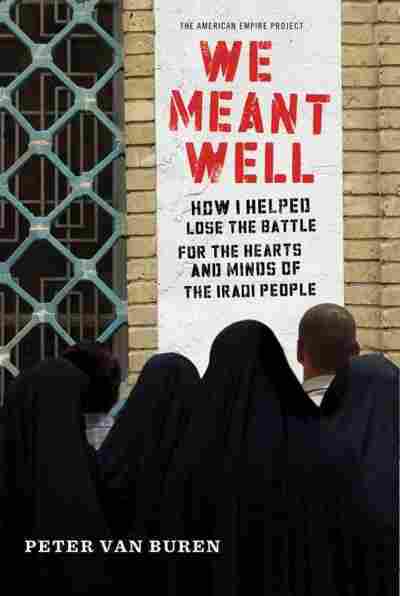 State Department employee Peter Van Buren gives a ground-level account of that waste and corruption in his book, We Meant Well: How I Helped Lose the Battle for the Hearts and Minds of the Iraqi People. Van Buren was a veteran Foreign Service officer who'd spent much of his career in Japan, Korea and Taiwan when he volunteered for Iraq service in 2009. He was sent to Baghdad as part of a State Department Provincial Reconstruction Team, where he was in charge of a group trying to rebuild Iraq's infrastructure and economy. For the next year, he encountered oblivious bureaucrats, comically misguided projects, greedy contractors, a never-ending cash flow, and campaigns aimed at improving the lives of Iraqi people. But many of those campaigns were misguided, says Van Buren, and they often wasted a lot of money. Van Buren's book isn't kind to American policymakers, and he has strong feelings about the futility of his efforts. Fresh Air contacted a spokesman for the State Department, who declined to respond to Van Buren's book except to say that the author's views are his own, and not necessarily those of the State Department. "The State Department is not very happy about what I've done," Van Buren tells Fresh Air's Dave Davies. "I was required to submit an early copy of the manuscript to them to determine that I wasn't releasing classified information ... It's pretty clear that I'm speaking for myself here." Van Buren says many of his State Department colleagues who have read the book agree with him in private but have publicly shunned him for speaking out about what he saw in Iraq. "Many of them accused me of picking on them or ... blaming them for things that I knew were institutional," he says. "They didn't make these decisions because they were stupid. I didn't make these decisions because I was stupid. We all knew we were told we were to do these things, and they're a little angry at me for labeling them as complicit in this when they knew that they weren't." When Van Buren arrived in Iraq, he tells Davies that he was overwhelmed by the amount of garbage he saw on the street. "I've never seen more trash in one place in my life," he says. "It was as if the only thing being manufactured in Iraq was garbage." The State Department's reconstruction teams were told that they had to find a way to remove the trash in the street. They enlisted the help of local sheiks who had volunteered to find and pay workers to assist with the garbage removal. "It was an amazing thing until we found that we were overpaying these people so much that we had distorted the local labor market, and several shops had closed down because people found it more profitable to have us pay them to pick up trash than to operate small businesses," says Van Buren. "And they were temporary jobs in the sense that when [the State Department] got bored with picking up trash, or some other shiny object caught our attention, we moved on to a different project." Peter Van Buren has contributed to The Nation, The American Conservative magazine and The Huffington Post. Van Buren says some projects floundered and others never got off the ground because the thinking about the future of Iraq was never long term. "Everyone in Iraq was there on a series of one-year tours, myself included," he says. "Everyone was told that they needed to create accomplishments, that we needed to document our success, that we had to produce a steady stream of photos of accomplishments, and pictures of smiling Iraqis and metrics and charts. It was impossible, under these circumstances, to do anything long term ... We rarely thought past next week's situation update. The embassy would rarely engage with us on a project that wasn't flashy enough to involve photographs or bringing a journalist out to shoot a video that looked good. The willingness to do long-term work ... never existed in our world." Peter Van Buren has served in the Foreign Service for 23 years. He has received awards for his work in Japan and Thailand. He speaks Japanese, Mandarin and some Korean. "One of the more amazing ways we spent money was a short-term project called microgrants. Someone, somewhere decided that if Iraqis were to open small businesses, this was going to solve a lot of problems. They would all become little shopkeepers and vendors, and therefore not be terrorists and everything would be OK, and we could go home. The way to implement this was through the microgrant program, which was literally us handing out $5,000 in cash to people and encouraging them to open a business with it. There was no follow-up, there was no accountability, there was nothing the Iraqi person had to do but sign a receipt and smile nicely at us, and we handed him $5,000." "One colonel that I worked with thought that the best way to win hearts and minds was to give away stuff. Everybody likes free stuff. He characterized this as a humanitarian gesture. What would happen is the Army would load up some trucks with food bags. The amount of food in there might have given a family of four a meal or two. It was nothing special, nothing elaborate. ... What you saw in these instances was very interesting. If you imagined yourself as a camera and you focused very closely, you saw happy, smiling soldiers handing food bags to young children or women. If you zoomed out a little bit, you saw that the soldiers who weren't in camera range probably weren't smiling. If you zoomed out a little further, you found that the Iraqi men would stay in the background and give us hard stares. This is a country where pride and self-image are very important to people, and being handed food by Americans who had invaded their country was a shock to the Iraqi people, was a blow to their pride."